I have drunk the Google Drive Kool-Aid. I used it daily last year, and I am now a convert. However, as a result of my recent condition that I’m calling Googlenthusiasm, my inbox and Drive are now ready for a spring-cleaning and a little more targeted thought. 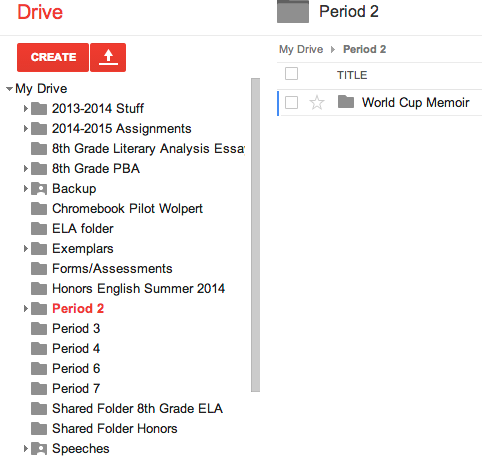 I know that Google Classroom* is coming out and might solve many of these issues, but I won’t have a chance to really dive into it before school starts, and my students are already emailing and submitting their summer assignments, so I’m busy organizing my Drive as it exists now. 2. Setting up my folders. I am setting up my folders by Period and then creating subgroups for each assignment. 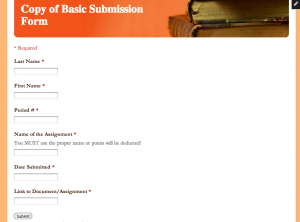 As assignments come in, it should be an easy drag and drop from there. Here is my initial list. I’ve opened up Period 2’s folder (I have 1st Period prep this year), and you can see that their first assignment of the school year will be based on developing a short scripted memoir based on the pre-game videos for the US World Cup Team. 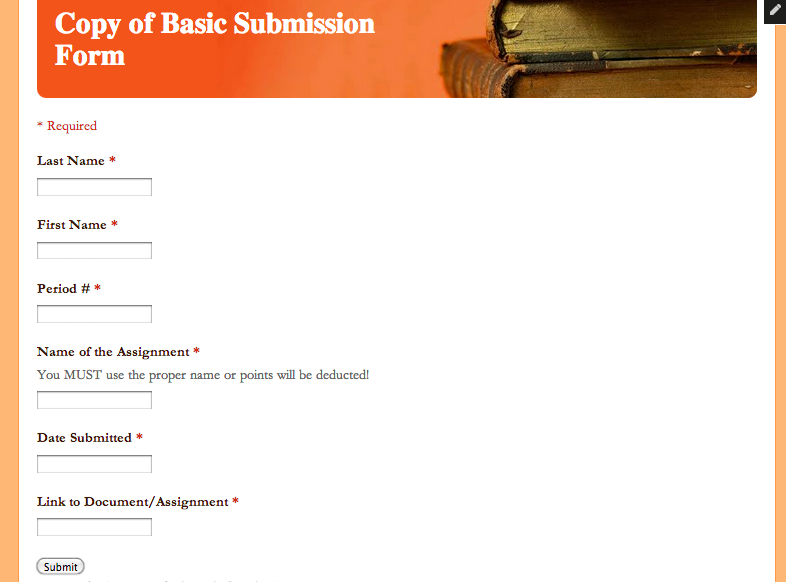 Not following the proper nomenclature will count as a No Name Submission (that doesn’t mean anything other than it sounds scary), but it adds so much work for me to find a student’s submission if it doesn’t (even using the Search function) that it drives me nuts. After all, if you have over 200 students a day, any time wasted is super frustrating if it could have been avoided. 4. 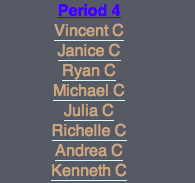 Setting up a Google Sites page of student names divided by periods. This list will be made public, and I will link the student Working Portfolios to the names. This will make sharing exemplars and grading much easier! Anything that saves clicks saves time. 5. Setting up a folder called “Shared Folders.” This way all folders that are shared with multiple people can be found easily. Here’s what this does if all students use it: It allows all assignments to be submitted directly into a spreadsheet that I can sort by period #, or assignment, or name, etc…So if I sort by period, I can see every student who submitted by the date due and go down the list of links to the assignment to examine and record easily. I can also use the Conditional Formatting Tool (from the Format Menu tab) to color code a particular response so I can identify a response quickly. Anticipated Problem: I can see the spreadsheet getting crazy quickly, but I can also re-share different versions of the survey as needed or clean out the spreadsheet at key times of the year…or simply let it grow as a “school year file cabinet” of sorts. 7. 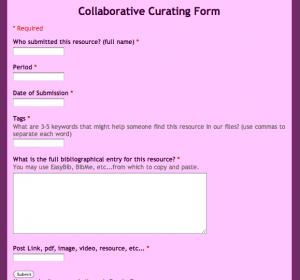 Creating a Student-Created Collaborative Research Library Form. We do a lot of research in my classroom. Whether we write science fiction narratives seeded with real science or we write advocacy speeches about real-world issues to be solved, the students need to conduct research. 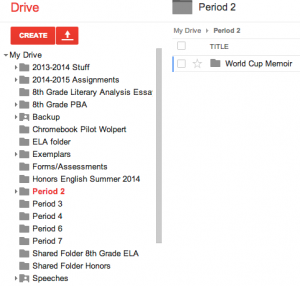 In the past, in order to share research, I had an offline file system so students could bring in resources as their own assignment to prove their research. They would then put their hard copies into physical files that peers could draw from who needed more on a particular topic or who somehow, strangely enough, couldn’t find any resources at all. We’ll see how these work flow organization strategies work, but as with anything in teaching, we learn how to improve on our procedures from year to year. I’m sure it will go smoother than last year, but will still be flawed enough to inspire another round of revisions next summer. I’m also sure much of this will become obsolete when Classroom hits classrooms, but until then, my Googlenthusiasm will keep me going. *I’ll update this post when I learn more about Classroom. ??????? ??? ??? - ??????? ??? ??? Hamilton?????????????????????????????????????????????????????????????????2007???????Hamilton??????????????????????????? ?timed by Hamilton?????????? « Having Any Nightmares About the Start of School Yet?